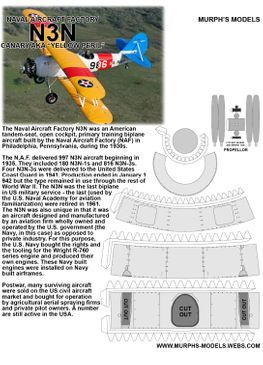 The Naval Aircraft Factory N3N was an American tandem-seat, open cockpit, primary training biplane aircraft built by the Naval Aircraft Factory (NAF) in Philadelphia, Pennsylvania, during the 1930s. 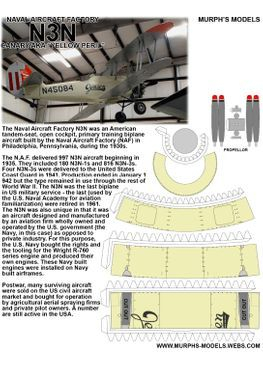 The N.A.F. 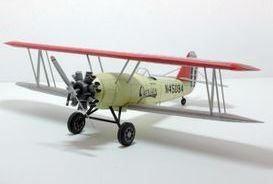 delivered 997 N3N aircraft beginning in 1935. They included 180 N3N-1s and 816 N3N-3s. 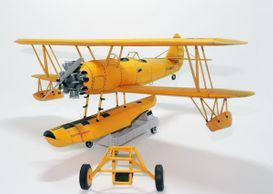 Four N3N-3s were delivered to the United States Coast Guard in 1941. Production ended in January 1942 but the type remained in use through the rest of World War II. 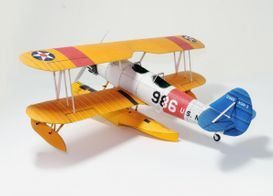 The N3N was the last biplane in US military service - the last (used by the U.S. Naval Academy for aviation familiarization) were retired in 1961. 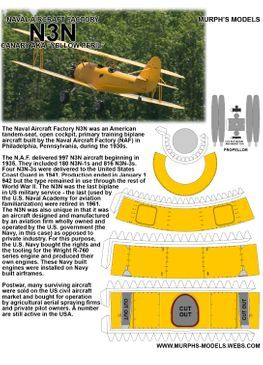 The N3N was also unique in that it was an aircraft designed and manufactured by an aviation firm wholly owned and operated by the U.S. government (the Navy, in this case) as opposed to private industry. 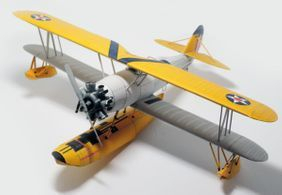 For this purpose, the U.S. Navy bought the rights and the tooling for the Wright R-760 series engine and produced their own engines. 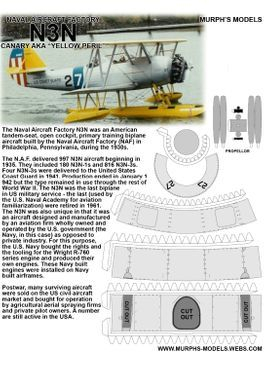 These Navy built engines were installed on Navy built airframes. 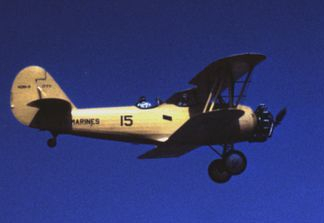 Postwar, many surviving aircraft were sold on the US civil aircraft market and bought for operation by agricultural aerial spraying firms and private pilot owners. A number are still (2014) active in the USA.